Pretty in pink! 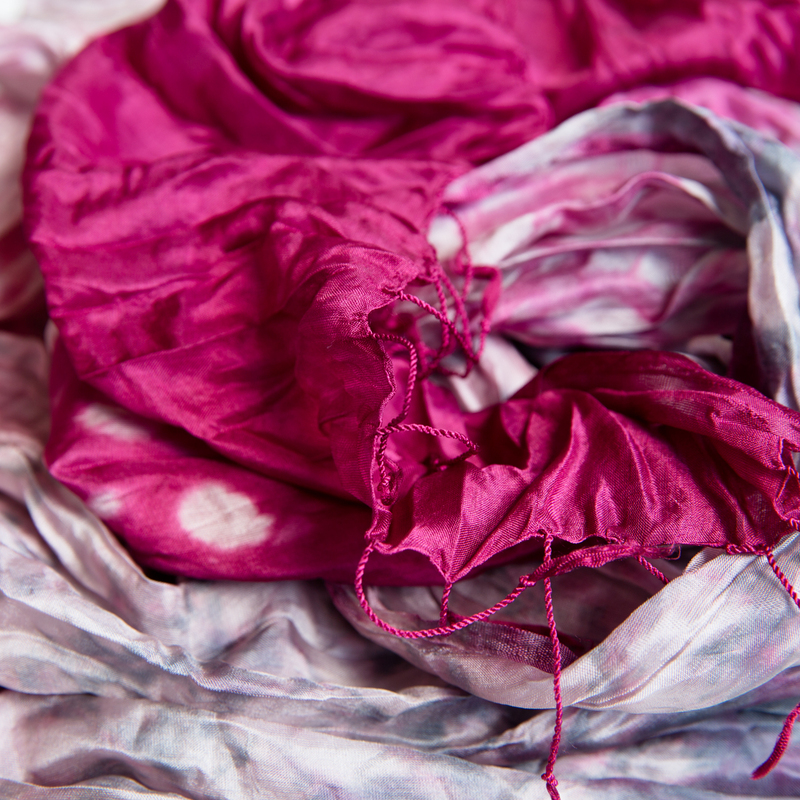 Versatile silk scarf in tie-dye from Thailand. This airy and comfortably soft piece is handcrafted by Vinita, one of the best-selling artisans we're working with. Vinita is popular because of her sharp eye for beautiful colour combinations and her use of complexe dyeing techniques.